Last year it was mobster Anthony Nicodemo, arrested for allegedly carrying out a gangland hit while mob boss Joe Ligambi was on trial in U.S. District Court. This year it's Ronald Galati, a notorious wannabe wiseguy. Galati, whose name surfaced during the testimony of Louis "Bent Finger Lou" Monacello two weeks ago in the ongoing Ligambi retrial, was arrested Saturday for allegedly hiring a hit man (or men?) to knock off a witness in a pending insurance fraud investigation in which he is the principal target. Galati, 63, who owns an auto body shop in South Philadelphia, has been in this situation before. The question being asked in law enforcement and underworld circles is whether the fast-talking mob associate, who was sentenced to 37 months in federal prison for insurance fraud back in 1995, is ready to roll the dice in a case that could land him in state prison for the next 15 years? The retrial of Ligambi and his co-defendant and nephew George Borgesi resumes this morning before Judge Eduardo Robreno. The case could go to the jury early in January. But there are those who believe the racketeering conspiracy charge the defendants are currently fighting could be the least of their problems if Galati rolls. Galati was picked up on a warrant issued by the Philadelphia District Attorney's Office on Friday and formally charged early Saturday morning. He is being in the Curran-Fromhold Correctional Facility on State Road pending a bail hearing. His attorney, Joseph Santaguida, said yesterday that he will seek bail for his client. But the District Attorney's Office, taking a hard line in witness intimidation cases, is expected to oppose that move, setting up the real possibility that Galati could spend both the Christmas and New Year's holidays -- and the months that follow -- in prison rather than in his comfortable South Philadelphia home or his place at the Jersey Shore. Galati is facing five counts, including attempted murder, solicitation for murder, conspiracy and witness intimidation. Few other details have been made public. Sources say Galati has been the target of an ongoing insurance fraud investigation launched by the Pennsylvania Attorney General's Office. Both the Philadelphia District Attorney's Office and authorities in New Jersey are also involved, those sources say. And waiting in the wings is the FBI which has long wanted to have a conversation with Galati about his questionable business dealings and the people he has dealt with. Galati's name has been mentioned in connection with a shooting in Atlantic City on Nov. 30, but no one in a position of authority would link that incident to the witness intimidation and murder for hire charges that he now faces. According to several sources, a man identified as the boyfriend of Galati's daughter was ambushed by two gunmen outside his home on Carson Avenue in the Inlet section of Atlantic City. The victim survived. And in shades of the Nicodemo case, the two gunmen, both from Philadelphia, were arrested within minutes of the shooting which occurred shortly before 7 p.m. Whether those suspected shooters are cooperating is one of several questions that have been raised now that Galati has been charged with solicitation for murder. The boyfriend apparently has some knowledge of Galati's auto body shop business and may have been subpoenaed before a grand jury. Another source, however, said the shooting was "personal" and not connected to business. Galati was convicted of mail fraud and bankruptcy fraud in the 1995 case in which a federal prosecutor described him as running a "shop of fraud" at his business on 12th Street near Washington Avenue. Galati was charged, but found not guilty, of threatening to kill a postal inspector who was part of an insurance fraud task force in that case. In that case, authorities labeled Galati a close associate of then mob boss Joseph "Skinny Joey" Merlino. Merlino worked in the auto body shop in the early 1990s while in a halfway house completing a four-year sentence for an armored truck robbery in which over $350,000 was taken. That money was never recovered. Several other mobsters, including Borgesi, also have been linked to Galati's shop. From the witness stand in the current trial, Monacello, a Borgesi associate, testified that he worked with Borgesi in the early 1990s in a scheme set up to provide Galati with auto body repair work and opportunities for insurance fraud. Monacello said Galati would make copies of the car keys of customers and then provide Borgesi with the key and the customer's address. Late at night, Monacello said, he would drive Borgesi to a customer's neighborhood and if they spotted the car, Borgesi would drive it away. Monacello said he would follow and serve as a "blocker" -- using his car to block police should they pursue Borgesi. In the stolen car, Monacello said, Borgesi would cruise South Philadelphia, heading toward the address of another Galati customer. Borgesi would then crash the stolen car into the parked car of the second customer, creating repair work for Galati from both unknowing patrons. Galati was accused to generating tens of thousands of dollars in insurance fraud income. 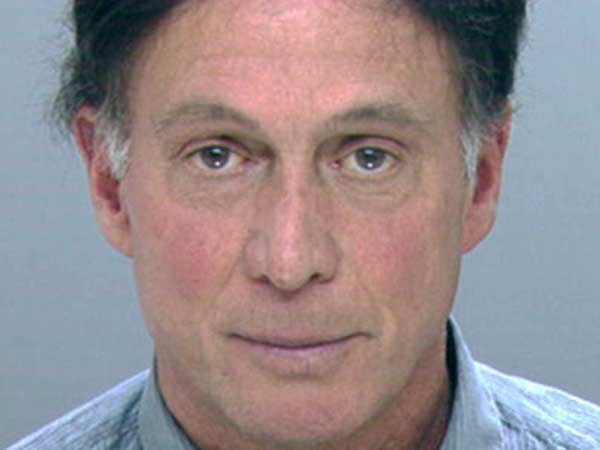 His ties to the Merlino faction of the mob also resulted in a problem with mob boss John Stanfa. Stanfa suspected that Galati's auto body shop was used to cut two portholes into the side of a stolen van that was used to ambushed Stanfa on the Schuylkill Expressway in August 1993. The shooting, Stanfa's son Joe was wounded, occurred in the midst of rush hour traffic shortly before 8 a.m. Authorities suspected the Merlino faction of being behind that attempted hit, but no one has ever been convicted. The shooting was one of the more outlandish during a bloody war between Stanfa and Merlino in 1993. Galati ended up on one of Stanfa's many hit lists as a result. Galati has always denied any knowledge of the circumstances behind the Expressway shooting, but what he knows could be a bargaining chip should he decide to cooperate. Authorities also believe that Galati has maintained an ongoing relationship with other mobsters and that some of them, and their family members, may figure in the current insurance fraud probe. "Galati doesn't want to go back to prison," said one individual who knows him. Whether he would try to bargain his way out from under his current problems is a question that is being asked in both law enforcement and underworld circles. Of course, that same question was asked this time last year when Nicodemo was arrested for the murder of Gino DiPietro in South Philadelphia. Nicodemo, 41, was taken in to custody less than 30 minutes after the shooting. Witnesses had spotted him fleeing the scene in an SUV and gave authorities the license tag number. The vehicle was registered in Nicodemo's name and listed at his address, a few blocks from where DiPietro, 50, was gunned down. The married father of two young children was arrested at that home without incident. He was charged with murder, conspiracy and weapons offenses after a ballistic test linked a gun found in his car with a bullet fragment from the murder scene. Police also found gloves and a ski mask in the vehicle, a black Honda Pilot, according to an investigative source. Nicodemo spent the holidays in jail last year and will be there again this year, setting up the possibility that he and Galati might share some eggnog, or whatever it is that they serve at CFCF during this festive season. He is scheduled for trial in May. A hearing to suppress evidence in his case could be the key to his future. If that hearing goes against him, "he's buried" said an investigative source familiar with the case. Galati's situation is just as problematic. If the hitmen he allegedly hired are now cooperating, the case against him could be insurmountable. "It's bad," said one person familiar with the charges.